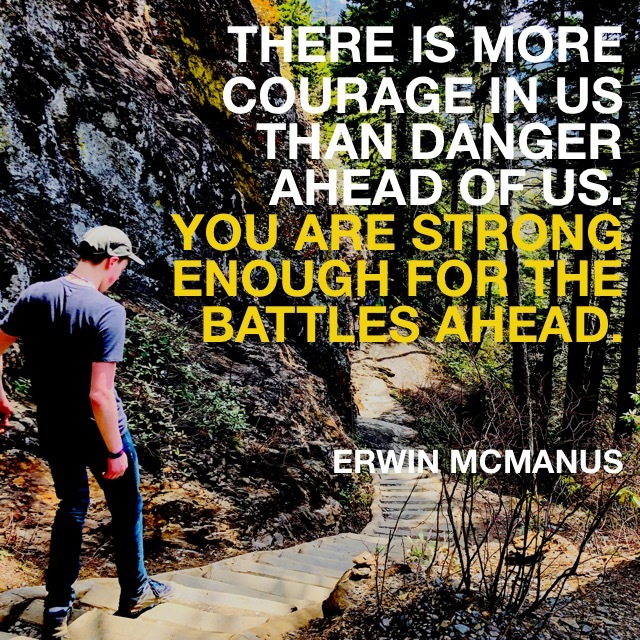 Erwin McManus will get you fired up to make the most of the life God has given you! Check out my full review of The Last Arrow by clicking here. When I read an Erwin McManus book, I always feel like an arrow shot out of a bow: ready to launch into areas where I should be living. 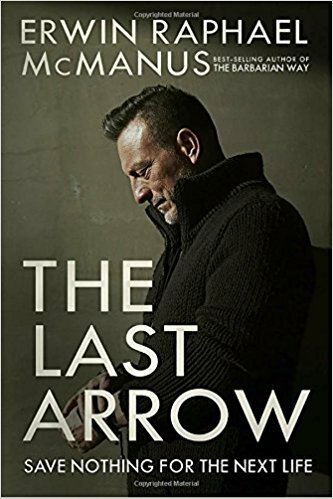 So it’s very appropriate that McManus’ newest book is entitled The Last Arrow! In chapter after chapter, Pastor McManus encourages us to keep pressing forward, not letting our past holding us back, getting the right people around us, standing our ground, and living for a greater future. He shares examples from Scripture, his own life, and the lives of some extraordinary “last arrow” people he’s met along his journey. All in all, this book will fire you up! Near the last page of the book you will be cheering as McManus writes, “If you truly live before you die, your life will have a power that not even death can conquer”! 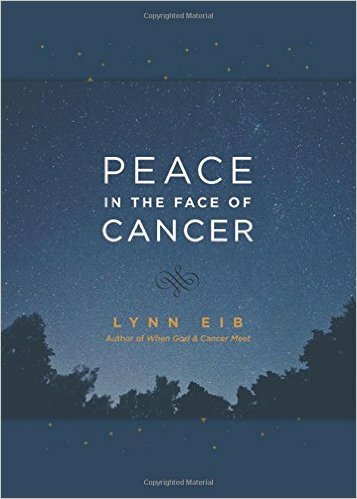 For anyone battling cancer or standing as a caregiver or friend to a cancer patient, Lynn Eib’s book Peace In The Face Of Cancer is an absolute must-read! I have already shared a few quotes from Lynn, but she also did a great job including quotes from other authors. Check out my review of Peace In The Face Of Cancer here. And check out some quotes from Lynn Eib here. And the things for which you strive. Each one will keep that date. For which some men always bow? 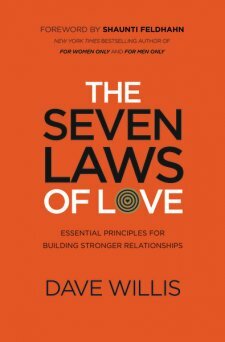 In The Seven Laws Of Love, Dave Willis gives us some highly practical, biblically-based counsel for investing in all of our relationships. Normally when I share quotes from books, I share all of them at once, but for this book I felt like it would be good to share these quotes a bit more slowly, to give you time to read them and apply them. Check out my review of The Seven Laws Of Love by clicking here. Watch for more quotes from the other laws of love explained in this book throughout this week. John Maxwell always includes the best quotes from other authors in his books. Here are some of the quotes he shared in Mentoring 101. 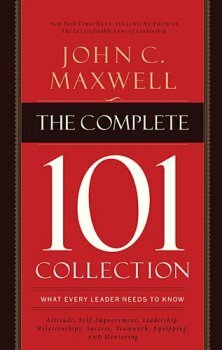 “The greatest leader is willing to train people and develop them to the point that they eventually surpass him or her in knowledge and ability.” —Fred A. Manske, Jr.
To read the quotes from John Maxwell that I shared from this book, please click here. She lived in Bethlehem, which means House of Bread, but there was no bread because of the famine. 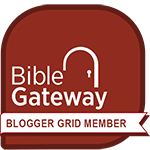 Her husband’s name was Elimelech, which means God is my king, but instead of him trusting God, he trusted his own wits. Her sons were supposed to bring her joy and a hopeful future, but their names also haunted her: Mahlon means sickly, and Kilion means wasting away. 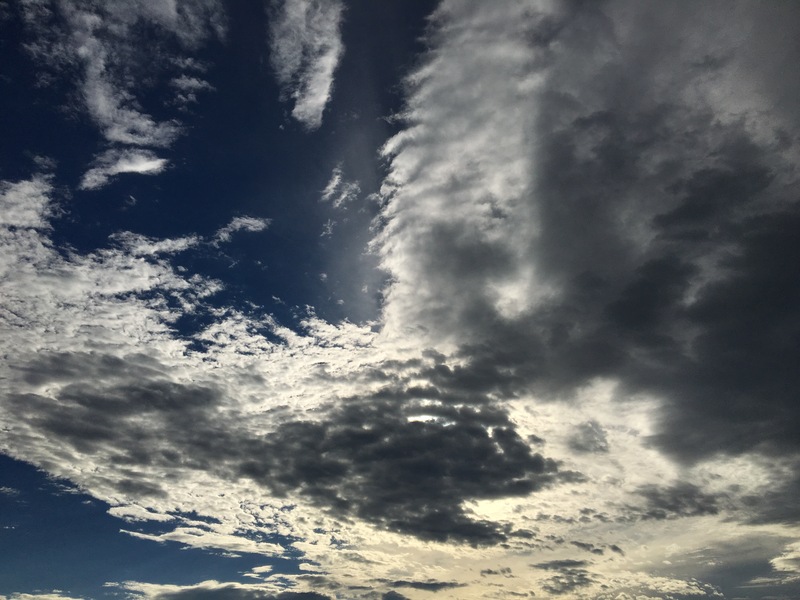 Naomi hit rock-bottom—Now Elimelech, Naomi’s husband died… And after they had lived there about ten years both Mahlon and Kilion both died, and Naomi was left without her two sons and her husband (Ruth 1:3, 5). Is it any wonder Naomi—whose name means pleasant—wanted to change her name to Mara (bitterness)? But somewhere deep inside, Naomi had courage enough to hang on to hope. She heard that God had once again provided bread in the House of Bread, and she returned home. She had no prospects for success, and her husband’s debts were still awaiting her, but she went back to Bethlehem with her daughter-in-law Ruth. 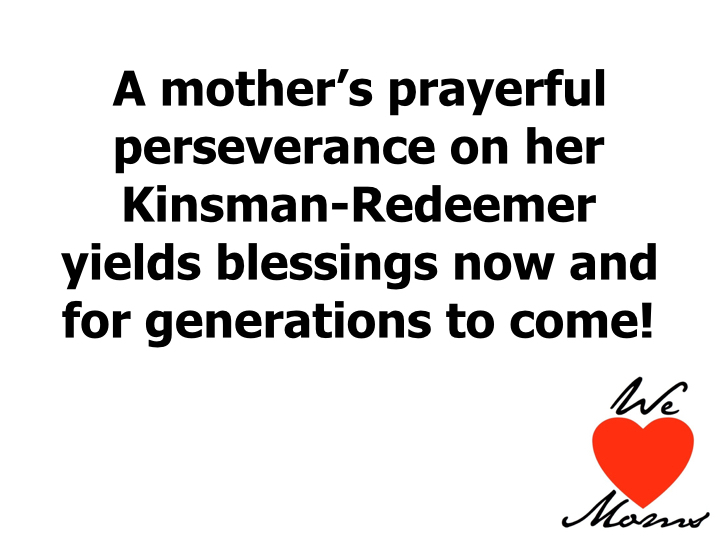 Especially as we remember Mothers Day, it’s a great reminder that a mother’s prayerful perseverance on her Kinsman-Redeemer yields blessings now and for generations to come! Don’t give up! Jesus is your Kinsman-Redeemer, and He is waiting for you to cling to Him.